A question always nags at people, and so does a survey question. You don’t want to be asked random customer satisfaction survey questions, do you? I hear it all the time. Particularly in the SaaS (Software as a Service) space when it comes to improving onboarding and conversions, how do we measure customer satisfaction? What are some examples of a good SaaS customer satisfaction survey questions? What are the best feedback question? We will mainly give you SaaS survey questions, but these can easily be translated to additional fields. And the answer to this question is simple yet not that straightforward. The problem? That is simply NOT enough. 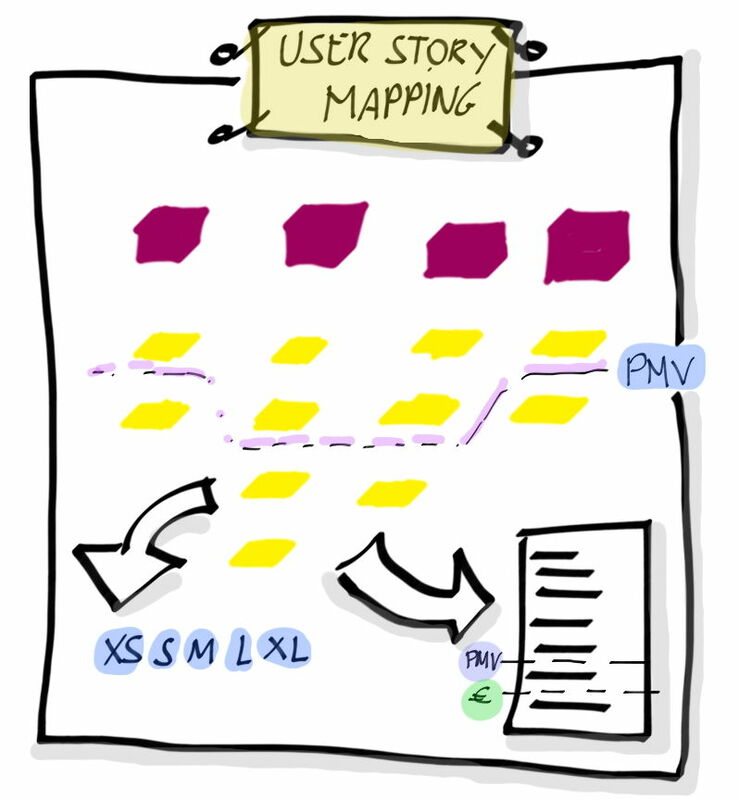 See, if there’s one thing you need before writing a lick of copy or re-designing anything it’s not a “proven template” or a list of features… it’s your user story. An actual description of your prospects is a static picture, whereas a story involves situations, places, characters, feelings, emotions, struggles, frustrations, past, present, future. It’s dynamic. See how knowing this simple, 2-paragraph story can give you insight after insight on how to position your business and its message? Your message needs to be told in terms of your customers’ past, present and future. They know best. Now, instead of trying to guess what that story actually is, you can prepare a simple survey to send over to your recent buyers. And that’s exactly what we’re doing today: create a customer satisfaction survey that will get into your customer’s head. I will give you customer satisfaction survey questions examples for free. With only 6 product feedback survey questions, we’ll fill the gaps of your user’s story from start to finish. We won’t give you the exact customer satisfaction survey format, but we will give you samples of satisfaction survey questions and real-life examples you can inspire yourself from. This is the perfect example of a new product survey in order to understand true customer needs. You survey customer satisfaction and understand your customers. 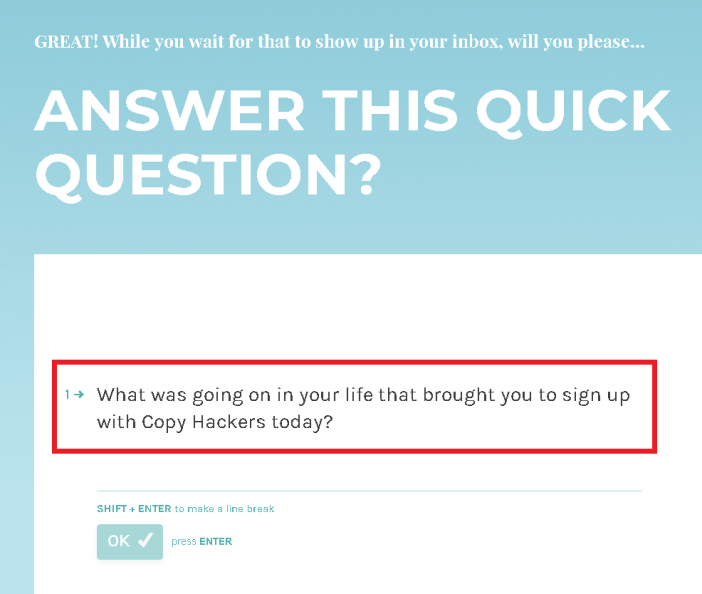 Joanna Wiebe, founder of CopyHackers & Airstory, has this question front and center on her thank-you page, and it’s for a reason. The power of this question lies in the insights you get from the initial mental state and story of your prospects. She calls it, “joining the conversation already happening in your customer’s mind.” I like to call it Scene 1. People are always looking for things that relate to what they already have in their minds. If they see something they can relate to, it’s way more likely to grab their attention. That’s why the answer to this question will be particularly helpful for headlines, subject lines, and other attention-grabbers throughout the first steps of the customer journey. For instance, there was this time-tracking tool I had the pleasure to help—a Pomodoro timer you can easily integrate with Trello, Asana, and other project management tools. Take a guess at what the subject line for the welcome email was? Knowing the first scene of your customer story can be a game-changer. This is one of the most important customer feedback question you want to task for. The answer from question #1 is likely to give you clues related to your users’ problems—so you can get their attention and get them to click. The following aspect, though, requires two often-missed traits: clarity & simplicity. This is where some tech businesses flop. Usually involved in the product’s creation, SaaS founders and marketers get wrapped up in jargon and the mumbo jumbo of all the amazing features the software has. But when you step back and listen to how your prospects explain their situation to a close person who probably doesn’t have a technical background or industry experience, it’s a totally different story. How will they phrase their current situation, their problems? What will they compare it to? I know some of you have complex solutions and often sophisticated buyers who are supposed to understand your jargon. Either way, having the answer to this question can give you powerful insights as to what analogies and comparisons you can lever to make your message and concept much easier to grasp. The number one reason your prospects aren’t swiping their credit cards right away is because they have options. Dozens, maybe even hundreds, of options to choose from. Knowing the gaps between their needs and the options out there, expressed in their own words, is tremendously valuable. With this information in mind, you need to address it head on with your website, ads, or in the first few emails. Engaged in probably one of the most competitive SaaS industries—email marketing services—they tackle the primary prospects’ objection: how are you different/better from the alternatives. This allows you to exploit what your customer found useless in your competition which will instantly make you shine—while giving them that beacon of hope that they need to give you a shot. Enough questions about the past. Time to talk about what they actually felt like after hopping on board. No time to create your survey now? The problem here is knowing what features to emphasize. 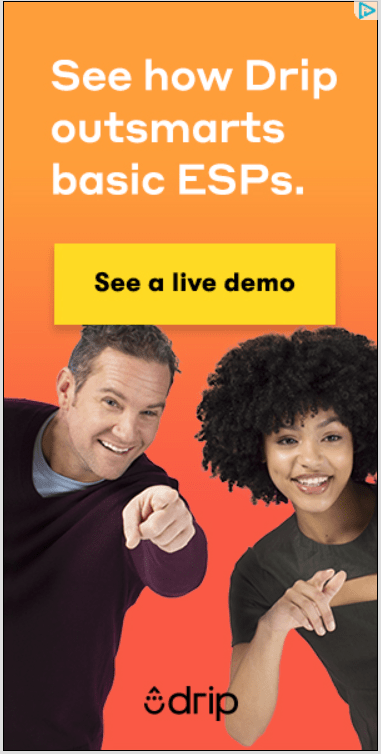 They make this HUUUUGE list of features and fill up their landing pages with back-to-back-to-back icons and so-called benefits. They then go ahead and email feature after feature until the tank runs out of gas. This rarely moves the needle. Others try to guess what these crucial features are on their own and end up talking about the wrong ones. Obviously, the fastest and more accurate way to know is simply to ask. And that’s what we’re doing here. I personally suggest you make this question easier on your customers and yourself by asking a multiple-choice question. For this reason, you’ll need to have an idea of what these features might be. A framework I like to use to narrow down a list of features is FUR (stands for Frequency, Urgency, Reach). Frequency: What are the features people use more frequently? Urgency: What do features people want to try out immediately after signing up? What features do they need the most? Reach: How many folks on your entire customer base use a particular feature? What are the most common actions among your users? With the answers to these questions you should be able to successfully narrow down your list to less than 12 options. I’d personally say that 7-8 is ideal. Just remember to add a “other” options, too. When it comes to knowing the market it’s better to get it wrong than to not ask at all. Another way to know and prioritize this list is to separate this satisfaction question into two to four separate ones where you force users to select their number one feature, the second most important, and so on. since these insights will, without question, shift your message toward the things that really matter. First impressions are everything. They can make or break opportunities in life and in business. Knowing the expectations of your prospects can help you immediately match their reality to that expectation. Tell them to do just that. Tell them to take another action (and tell them why what they wanted to do is not important yet). This one can be a bit harder to understand. So let me tell you a personal story. A few months ago I signed up for ScheduleOnce. I needed to schedule a call with a prospect. Essentially I expected to sign up, get in, copy a link, paste it into an email and move on with my life. 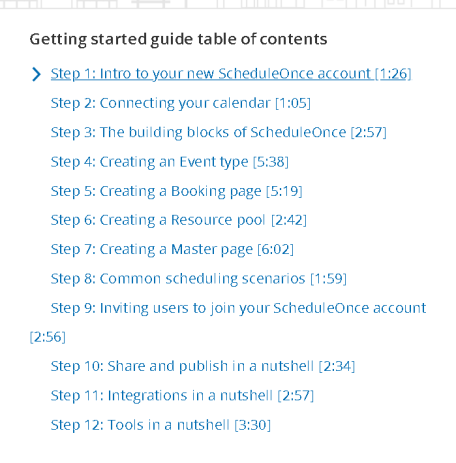 Anyhow, when I signed up for ScheduleOnce’s free trial they started to give me a tour through their ENTIRE interface. Which it’s okay. But I just wanted a link to send it to a prospect. Which again it’s fine. But I just wanted to send a link to a prospect. Which means I expected to (1) connect my calendar (2) select my availability and (3) get a link. That’s it. I didn’t want anything else. How many customers are in this same situation? We don’t know. That’s why we need to ask. So, make sure you know what your customers are expecting from you. And give it to them. ASAP. 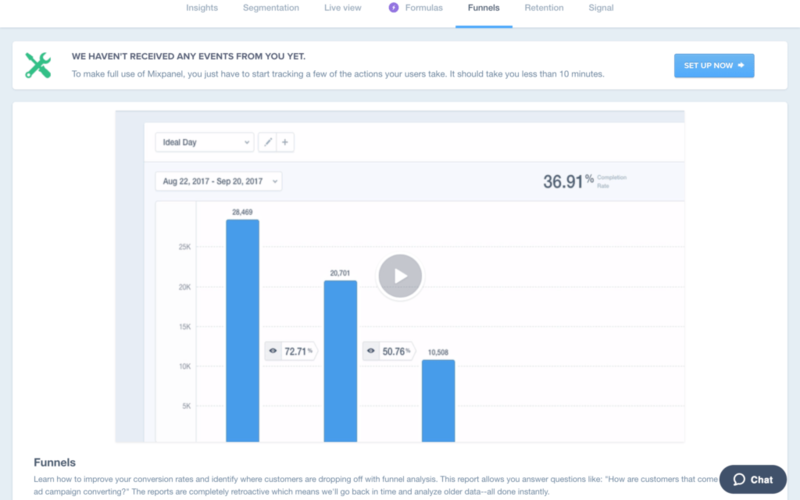 A more data-driven way for doing this is to gather user data and analyze what exactly your users are doing once they sign up. This can be done quantitatively with solutions like MixPanel. Or you could see your users on video with solutions like Smartlook. Not only can this help you get out of your head and get to know your users’ expectations, but it could also help you uncover feature-conversion relationships (e.g. people that activate ‘X’ feature are 25% more likely to convert). The more data you have, the more insights you can get. And the more actionable insights you can get, the better. If you ask people why they decided to buy or what success means to them they’ll probably start justifying themselves with things like “Oh, feature X” or “The user experience”. But as we saw in question #2, when they have to talk to someone else that doesn’t necessarily understand those terms, the answer is completely different. This is one of my favorites because it reveals ideas you wouldn’t know otherwise. Here’s where you can really get a picture of what success looks like for your users, and use it to your advantage. Paint that picture of a brighter future clearly from the very beginning in your messaging and you just can’t go wrong. You might want to ask this question to a recent customer, though. And if you’re in the B2B space consider changing a “family member” for a “close team member” if it sounds more appropriate. We have looked at the best questions to understand your customer. How do you go about getting additional data? As a starter, you can ask the following question. Those can be asked using a yes no. scale, or a Likert scale. Were you satisfied with your experience today? Did our product/service meet your expectations? Besides this, I also recommend you to look at the Net Promoter Score Question. We have written extensively about it. Finally, if you want to glean the most information from your customer satisfaction survey, then you’re going to want to look into open-ended questions. They are usually the most insightful questions, but also the more time-consuming and demanding for your customer. What could we have done to get a perfect score from you? How could we make your life even better? What could we have improved on/done better? How would you explain our product/service to a friend, family member or colleague? Do you have some other suggestions on how we could improve? How Long Should a Customer Satisfaction Questionnaire Be? Surveying customer satisfaction is not a science. There is no rule of thumb nor ideal length. There are simply too many factors to take in and that influence the ideal length. We can recommend keeping the bare minimum though. Remove all the useless or “nice-to-have” questions, and go for the important point you want to focus. Keep in mind that your customers won’t spend more than 5 to 10 minutes answering your survey. How to Get Feedback For This Product Satisfaction Survey? You have our set of ideal questions and a fine-tuned questionnaire design. How do you ask for feedback and actually get the feedback? In a nutshell, it comes down to finding the right timing and the right feedback channel. 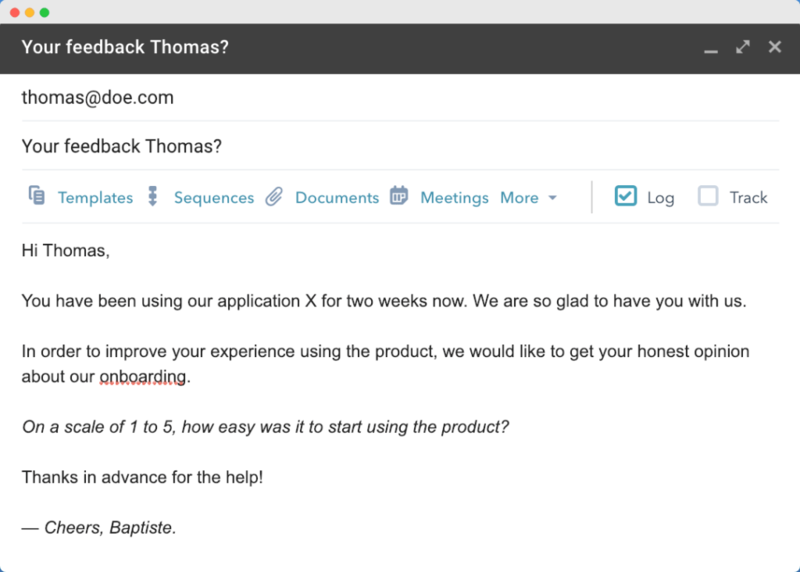 Email Feedback: this works great if you’re able to integrate the email in your onboarding sequence. Be nice and gentle, explain why and how long it will take. Give a link to the client survey, or ask a question in the email and follow-up then. In-app Feedback: using embedded feedback is another very effective alternative. Take advantage of Feedier right now, and get feedback for free. Community Feedback: if you have time to create and manage a community of users, you could also benefit from the feedback directly from the community. Create polls, post links to. 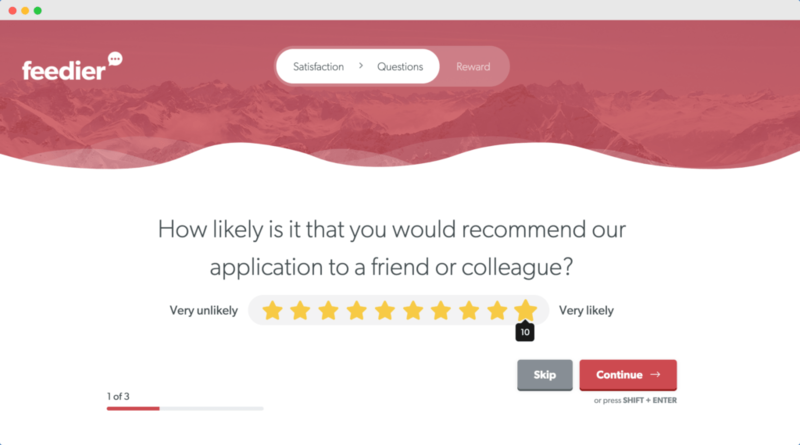 your product feedback survey, and create a relationship with your users. Telephone Surveys: another effective method, yet time-consuming is by calling your customers. This works well if you’re not doing a mass Bussiness-To-Consumer (B2C) product, and rather selling a Business-To-Business (B2B) product. Face to Face Survey: If the majority of your customers are grouped in one location then you may also consider face to face surveys. Although they are definitely the most expansive method of conducting a customer satisfaction survey, it is the best way to identify your promoters and understand the customers. You can also host a meetup, a client conference and such event to rally up your customers. You could interview your customers—I personally encourage it. But sometimes you want to make sure that you have a more representative sample size (and you want to get the information fast). The way to do this is with a survey, by collecting feedback. Steal our customer satisfaction questionnaire sample from above. Ask these proven product survey questions, and tell us about your results. Tailor those questions to your brands, and use them to send an engaging survey with some of the survey tools available. Feedier works pretty well for this. I challenge you to send a survey like this one to at least 100 selected, engaged users of yours next week. You’ll be amazed at the insights you get. Isaac Perdomo helps SaaS businesses build a conversion machine with emails instead of salespeople. Email conversion copywriter by day. People pleaser by night. He believes SaaS is the future of business and can be often found making his clients shine in front of their competition or eating yet another business book. Connect with him on Facebook or learn more at his website, CopyOnboard.